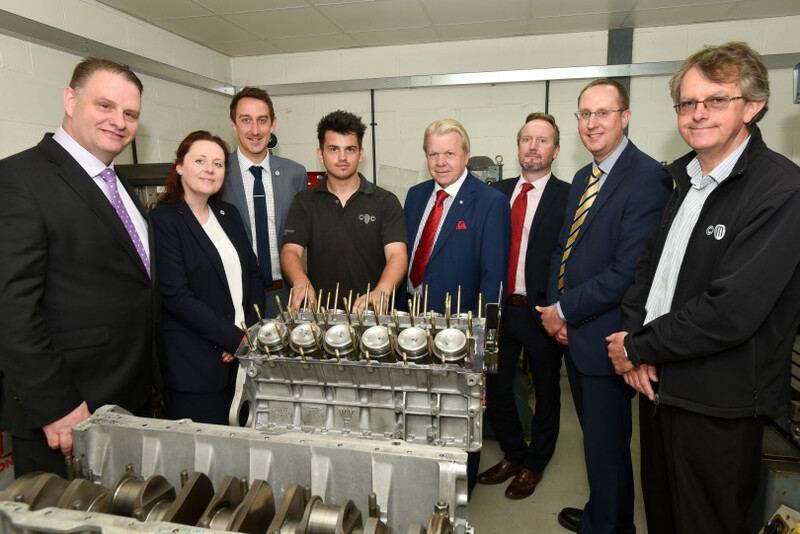 The Marches LEP which covers Herefordshire, Shropshire and Telford & Wrekin, has awarded three contracts worth £2.81m to develop Advanced Manufacturing Hubs in the region which will create nearly 2,700 apprenticeships. As part of the private sector-led LEP’s plans for tackling the skills gap, the project will see regional training centres, in Bridgnorth, Shrewsbury and Hereford, set up to support employers in areas where there is limited access to workforce training. The contracts were awarded following an open competitive tender process. The largest contract, at more than £1.9m, has been awarded to the Marches Centre of Manufacturing and Technology CIC, a consortium which includes Shropshire employers Grainger & Worrall, Classic Motor Cars Ltd and Salop Design & Engineering and training specialist In-Comm Training. The Shrewsbury Colleges Group has been awarded £425,166 to develop a ‘hub and spoke’ model of training provision, supporting 183 businesses and more than 450 apprenticeships. Herefordshire and Ludlow College, with Herefordshire & Worcestershire Training Association has secured £464,763 to develop the third centre, creating 260 apprenticeships and supporting 225 businesses. As well as apprenticeships, all three hubs will deliver more than 1,960 additional qualifications over the next five years. Graham Wynn, Chairman of the Marches LEP, said: “We have a need across the Marches to ensure there are enough of the right people with the right skills to meet the demand of our employers. It is vitally important that they remain invested here, and continue to grow their business here. Chris Greenough, commercial director of Salop Design said: “The key issue facing our sector is there is simply not enough people with the right skills, to do the jobs we need them to do in order to grow manufacturing businesses, the sector and ultimately the UK economy.